In this Part we will explore the meaning of the 28th Shloka of Sri Vishnu Sahasranamam. This name consists of 2 parts Vrisha meaning Dharma or righteous conduct and Aha meaning day. Sri Adi Sankara gives a twofold interpretation of this name. The first is ‘Vrisho dharmah punyam tadeva ahah prakaasha saadharmyaat – He is Vrishaahee because he brings the concepts of Dharma into broad daylight and reveals them to all. The second is ‘Dvaadashaaha prabhritih Vrishaahah sah asya asti iti Vrishaahee – He enjoys or presides over the 12 day sacrificial performance called Vrishaa’. Sri Radhakrishna Shastri says that He shines brightly like the day because of His dharma. Or He makes those who adhere to dharma shine like the day. Sri Parasara Bhattar’s interpretation is that He is Vrishaahee because the day on which a devotee approaches the Lord, is a day of auspiciousness or a day of dharma. Sri Satyadevo Vashishtha gives the meaning “fire” or “agni” to the term Vrisha based on Vrisha agnih samidhyate (Rig Veda 3.27.14), and uses ahah to mean brightness or Prakasha and so gives the meaning that Bhagavan has the brightness of agni and so is called Vrishaahee. He then generalizes this and says that Vrishaahee really refers to One who has the brightness of anything that is bright, such as the Sun etc., or in other words, their brightness is because of Him. So is the brightness resulting from knowledge, brightness of life because of the Jeevatma etc., which get their brightness from Him. He is the only one who has self-luminosity or Svayam Prakasham. Here Vrisha refers to rain or shower. Sri Adi Sankara interprets this name as ‘Varshati eva bhaktebhyah kaamaan iti Vrishabhah – He showers on His devotees whatever they desire’. Sri Radhakrishna Shastri gives the explanation ‘Varshaatmanaa bhaati – One who dazzles in the form of Dharma or rightful conduct’. The writer in Dharma Chakram says that Bhagavan gives whatever is desired by the beings, according to their efforts. Of these, the real wish should be to realise Him. All other wishes, though fulfilled by Him for those who seek them, will only result in sorrow after the temporary pleasure is over. The desire should be to enjoy the process of Bhakti or devotion and not in the fleeting worldly pleasures. Meaning: O’ Lord of Arangama-nagar, with a hue of a huge green mountain with coral lips and lotus-red eyes, Achyuta! The eternal Lord, O Cowherd-Lord”, even the joy of ruling Lord Indra’s Kingdom pales in comparison to the bliss experienced in praising you. I shall not want such a kingdom even if you gave it. This Nama was the second Nama and will again occur as Nama 663. 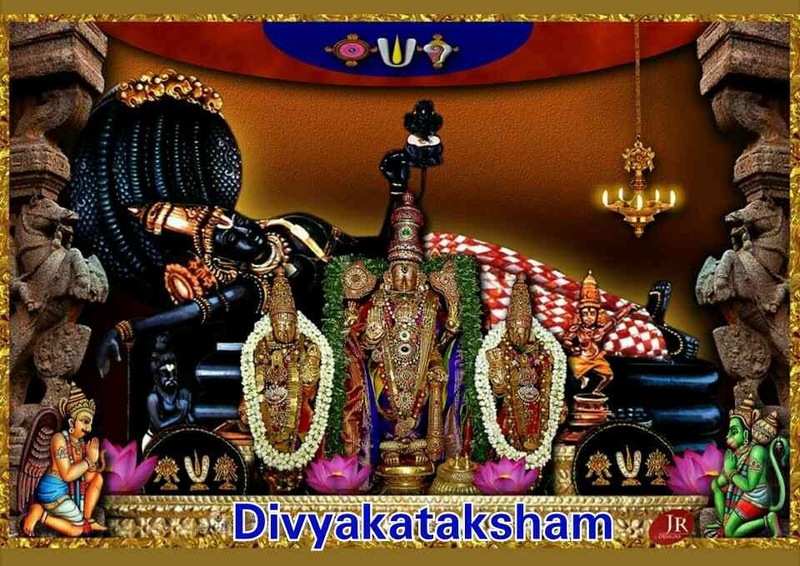 Sri Adi Sankara says ‘Vishnuh vikramanaat – He is called Vishnuh because he is omnipresent or is present everywhere’. Bhagavan’s omnipresence is at different levels. He is ‘Sarva Vyaapi’ as well as ‘Sarva Antaryaami’. The former refers to his penetration at the macroscopic or the cosmic level and the latter at the microscopic or the atomic level. He is also all pervading at the mental plane whether it is the wakeful, sleep or dream state that we are going through. Sri Parasara Bhattar gives the meaning that this pervasiveness is in the sense of association such as between fire and smoke. So also, Bhagavan is there in association with His Bhaktas always, and renders all kinds of help to His devotees whenever and wherever needed. Vrisha means Dharma as we saw before. Also parva means a step or stair case. Sri Adi Sankara puts these together and explains the meaning of the Nama as ‘Vrisharoopaani sopaana parvaani aahuh param dhaama aarurukshoh iti atah Vrishaparvaa – He is Vrishaparvaa because he provides the steps of Dharma to ascend the route to salvation’. 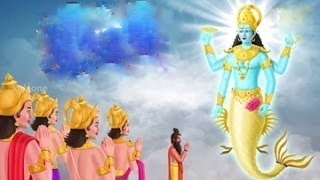 Sri Parasara Bhattar’s interpretation is that He is Vrishaparvaa because He has revealed the steps of Varnashrama dharma as the means to attain Him. Other commentators have included various steps such as Jnana, Bhakti, etc. as the steps that He has established. Sri Adi Sankara gives the explanation ‘Prajaa varshati iva udaram asya iti – His belly appears to be raining people (pouring out people) after the deluge’. He keeps all the beings in his belly at the time of the deluge and pours them back at the time of re-creation. There are other interpretations given for this name. One is that He is the receiver of all the offerings through sacrifices (Yagnas) etc., and so He is the one with the udara or the belly that receives all offerings of dharma. The other explanation is that creations of those who observe Dharma such as Brahma originate from His belly. SrI Satyadevo Vasishtha continues to interpret all the previous Namas and the current one using the meaning “agni” or fire for the word “vrisha”. Thus, He is the One who has agni in His stomach. This is known even for humans that we have the “agni” (the acid) that digests our food; there is agni in the centre of the Earth, in the centre of the Sun, the Oceans etc. This Nama comes from the root word ‘Vridh’ which means to make somebody grow or nourish. As Adi Sankara puts it ‘Vardhayati iti Vardhanah – He nourishes, increases or augments’. He makes his devotees to grow in all aspects. Sri Parasara Bhattar interprets this Nama as One who keeps the beings in His womb like a mother and nourishes them. 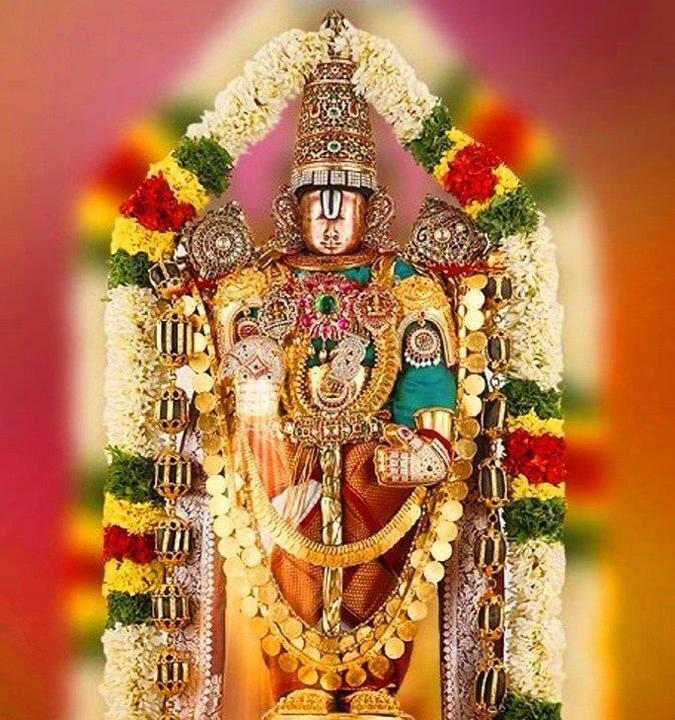 Sri Annagaracharya Swami gives the meaning that he is Vardhanah because he ‘grows’ those who have resorted to Him more and more (towards the spiritual path). Sri Radhakrishna Shastri gives the example of the offer of one handful of ‘aval or rice flakes’ – by His friend Kuchela (Sudhama), which was augmented so much in return that Kuchela became richer than Kubera. Sudhama, also known as Kuchela in Southern India, was a childhood friend of Lord Sri Krishna. Legend has it that Sudhama was Narada, who took birth on Earth in order to enjoy and participate in the many leelas (spiritual pleasures) of Lord Krishna. Sudhama was born into a poor Brahmin family, to Matuka and Rochana Devi. Krishna, on the other hand, hailed from the royal family and hence, enjoyed the highest possible social status. However, this difference did not in any way hinder their friendship. The two were inseparable all the way through the tenure of their schooling while in Vrindavan. They studied together at Acharya Sandipani’s ashram. After finishing with their studies, they lost touch for several years. 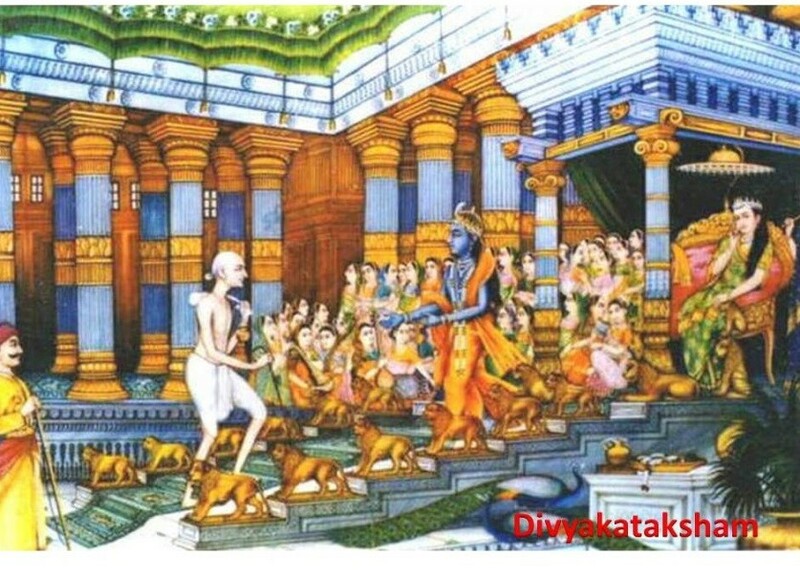 Krishna moved away from Vrindavan and went on to Dwaraka, where he got married and became the King. Sudhama, though, remained as impoverished as always and stayed on in the same village; continuing to dedicate his life to religious austerities, mantra, japa and developing a spiritual attitude toward life. He also continued thinking of Krishna and loved him as always. In due course of time, Sudhama got married to Susheela and became a householder. However, he never had any interest in accumulating wealth. He was happy to lead a frugal life, desiring no material gains. 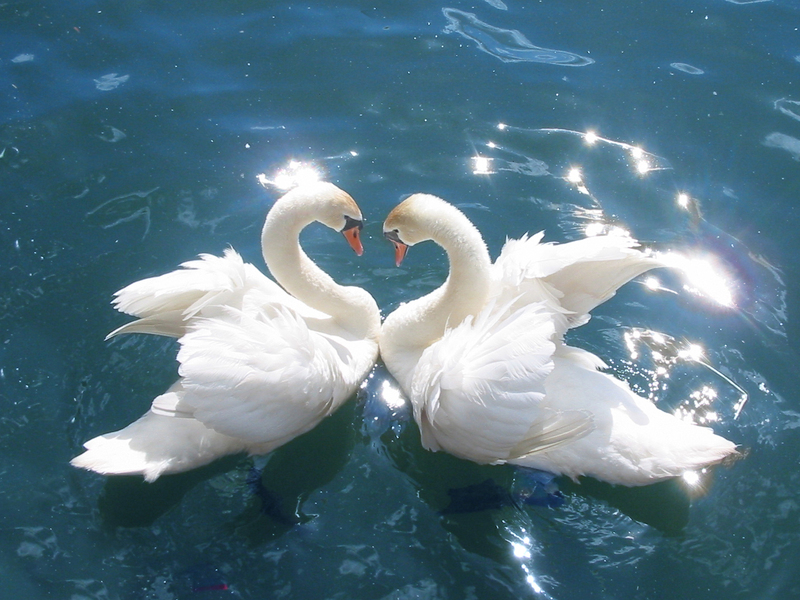 He accepted his financial status and preferred to spend time in the contemplation of the Supreme. There were many times when the family did not even get two square meals. Sudhama’s wife repeatedly requested her husband to visit his old friend Krishna and beseech him for some financial assistance. 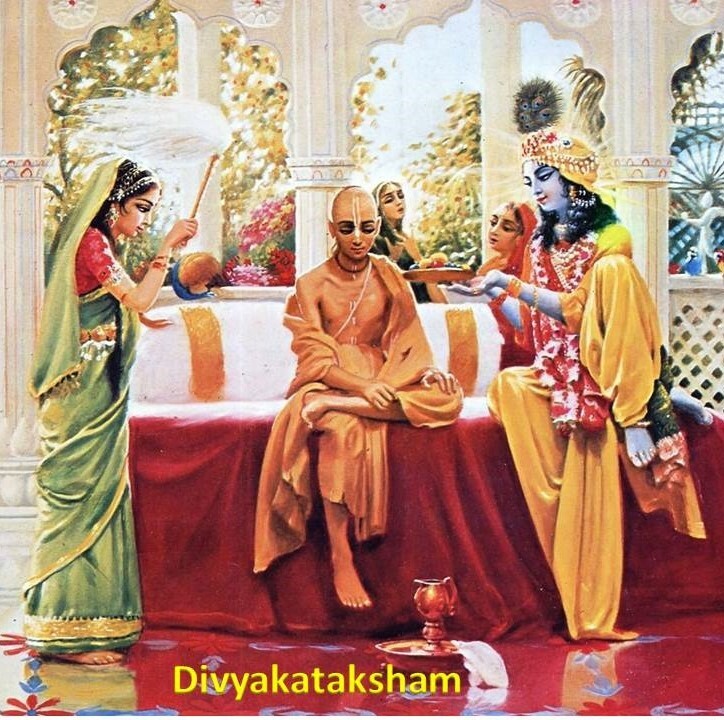 She would remind him that he being a true Brahmin, a devotee and long-lost close friend of Krishna, the latter would be only too willing to help him during his times of trouble. Susheela was concerned about the health of her children. 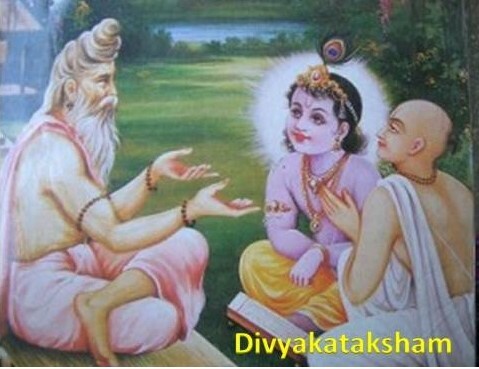 Susheela would often plead with her husband to go and meet Krishna in Dwaraka and seek his assistance to alleviate their impoverished condition. Sudhama reluctantly agrees to visit but says “I will go and see him, but I will not ask him for anything.” The very prospect of meeting Krishna, his old friend, made Sudhama happy. Susheela could hardly conceal her joy. Sudhama remembered Krishna’s great liking for rice flakes (Poha). Sudhama’s wife ran to her neighbour’s house to get some rice flakes and tied in a small bundle. Sudhama set out to Dwarka with the gift in his hands. When he reached Dwarka, he was amazed to see the grandeur and splendour of the city. While entering Krishna’s palace, Sudhama felt supreme bliss as if he was merging his individual soul into the Supreme Soul. Lord Krishna, who is the reservoir of all the pleasure in the world, Himself experienced great pleasure on embracing His friend! Sudhama was completely overwhelmed by the rousing welcome that Krishna gave him. The Lord asked him to be seated and, in a traditional fashion, washed Sudhama’s feet, as a mark of respect for a Brahmin. He then offered Sudhama food and drink to refresh him after his long journey. Krishna’s mood turned jovial and, with a mischievous glint in his eye, he asked his friend what the latter had brought him as a gift and if his wife had packed some nice eatables. Reluctantly and feeling very embarrassed, Sudhama offered him the bundle. Krishna, knowing what his friend was thinking, enthusiastically opened the bundle and was very happy when he saw the contents inside it. He decided he would part take the puffed rice with relish. The Lord grabbed a handful of the rice flakes and happily ate it. When he tried to put in a second mouthful though, his wife Rukmini, the Goddess of Fortune, held his hand and shook her head ever so slightly. She meant to tell him that with one handful of the rice, Sudhama would become extremely wealthy in his present life. But with a second handful, he would continue to reap riches even in his next life. Krishna understood what Rukmini was trying to tell him and, with a gentle smile on his lips, kept aside the packet of rice. He then fed his friend a sumptuous meal, asked him to rest for a while and then spent some more time talking with him. Sudhama was in a state of transcendental bliss and forgot the reason why he had come to meet Krishna in the first place. Krishna lovingly bade him farewell the next day, though he did not offer him anything in material terms. On the way back, Sudhama was completely absorbed thinking of the blissful time he had spent with the Lord and felt very content. When Sudhama finally returns to his home, he finds a palatial mansion instead of the hut he had left. He also finds his family dressed in extremely nice garb and waiting for him. He immediately understood that it was Krishna’s grace. He thanked Krishna in his mind and continued with his spiritual work. This story illustrates that the Lord does not differentiate between people based on their wealth and that he will reward true devotion always. God will provide for your good deeds and one should not to trade bhakti for anything in return. Sudhama did not ask Krishna for anything, despite being poor and gave Krishna everything he had i.e. rice flakes (poha); in return the Lord gave Sudhama everything he needed. 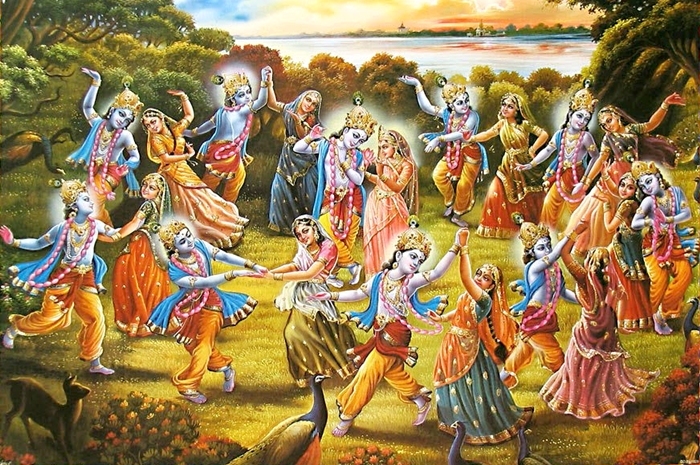 Another important lesson here is about how Krishna rewards true persons. Krishna did not reward Sudhama just because he was a friend. Sudhama spent all of his time and efforts befitting a true Brahmin which teaching religion, moral duties, and spreading spirituality through society. It is for this effort that Krishna rewards Sudhama’s family with wealth so that Sudhama may continue to do his good work. Bhagavan is Vardhanah because if one humbly offers even a grain of a mustard seed with devotion He gives them a mountain of returns. He offers protection to His devotees like a mother. The Dharma Chakram writer points out that while everyone takes the effort to grow their body and wealth, the real effort should be in growing the Gnanam (Knowledge) and Bhakti (Devotion), and He helps those who are devoted to Him in attaining gnana, hence He is Vardhanah. This is a further development from the previous Nama. While making others grow He himself is growing in his manifestation as the Universe at all times. As Sri Sankara puts it ‘Prapancharoopena vardhate iti Vardhamaanah – He is Vardhamaanah because he is growing in the shape of the Universe’. Thus Sri Sankara gives credence to the scientific theory of ‘the expanding Universe’. Sri Parasara Bhattar interprets Vardhamaah as one who swells in happiness as He sees His devotees grow. And He keeps growing in spite of His bestowing all that anyone asks for. Swami ChinmayAnanda points out that this Nama is indicative of the Vaamana incarnation in which He continued to grow to cover the three worlds. SrI Radhakrishna Shastri indicates that the ‘cha’ at the end of Vardhamanah has been placed there because He grows at the same rapid rate at which the Universe is growing. ‘Cha’ basically denotes synchronisation. Basically this means somebody who is unique and stands apart from everybody else. 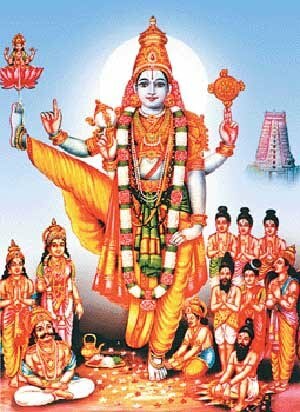 Sri Adi Sankara explains this as ‘Ittham vardhamanopi prothak eva tishthati – Even though he grows with his manifestation as the Universe as explained in the previous Nama he still stands apart from it as a unique entity’. He pervades the Universe and yet he stands apart. Bhagavan creates all the beings and keeps them in shape and in action, but is unique and separate from them. Sri Parasara Bhattar points out that Bhagavan is unique in many ways. He is untouched by the effects of action unlike His creations (nirlipta). He is unique because His activities are extraordinary and superior to those of others in the world. Sri Radhakrishna Shastri says that Bhagavan is unique because recognising him is beyond our ability or intellect. Our intellect and logical analysis are inadequate for this purpose. The Dharam Chakram writer points out that this quality of being outside of, and unaffected by, our surroundings, is the true basis of accomplishing our mission in life viz. realising the Paramatma. Shruti refers to Vedas and Saagara refers to the ocean. According to Sri Adi Sankara ‘Shrutayah saagara iva atra nidheeyante iti Shrutisaagarah – Just like all the waters ultimately run after and reside in the ocean all the Vedas ultimately run towards Him and reside in Him’. 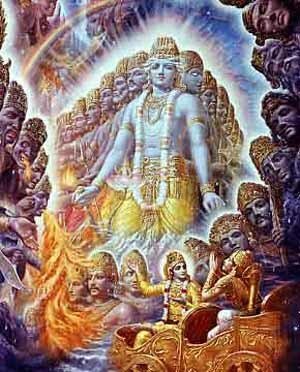 Sri Parasara Bhattar refers to Srimad Bhagavatam (2.5.15) which says ‘Narayana paraa vedaah – All the Vedas only speak about the supremacy of Lord Narayana’. He also refers to Bhagavad Gita (15.15) which says ‘Vedaischa sarvai raham eva vedyah – I am the one to be analysed and interpreted by all the Vedas’. Bhagavan brings Dharma to his devotees like day light and he bestows on them what they pray for. He is all pervading and He is omnipresent. HE has given the gnana and bhakti marga besides explain the 9 forms of devotion in order to attain salvation and merge with HIM. His belly showers offspring and he is Vrishodharah. He enhances the joy of his devotees and hence He is Vardhanaha . He is Vardhamanascha as He is growing in tandem as we grow. He is unique and unimpacted by any action or inaction. 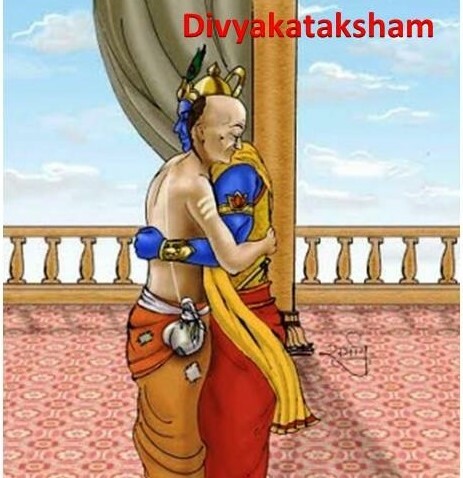 Sarva Deva Namaskaram Keshavam prati gacchati! All prayers ultimately reach HIM. Hari om! Just had a quick brush through this part. Waiting to see it on youtube. Great job, guys! Feeling blessed. Love Krishna’s stories, even if he does cameo roles, its always very significant. Thanks have a great Valentine’s day both of you. Thank you sir for this commentary. Fantastic narration sir. Sudhama’s devotion towards Shree Krishna is incomparable, likewise Shree Krishna’s response too.